A stay at an authentic stagecoach stop makes for a one-of-a-kind experience when combined with the charm and beauty that made Cedarburg a traveler's destination. The rooms at the Stagecoach Inn Bed and Breakfast are as unique as they are memorable. All rooms are appointed with period antiques, comfortable beds and private baths. Rooms 5, 8, 9 and 10 are suites. Three of these include whirlpool tubs. 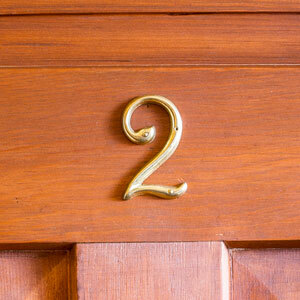 Click on each room number below for detailed room information, additional images and histories.